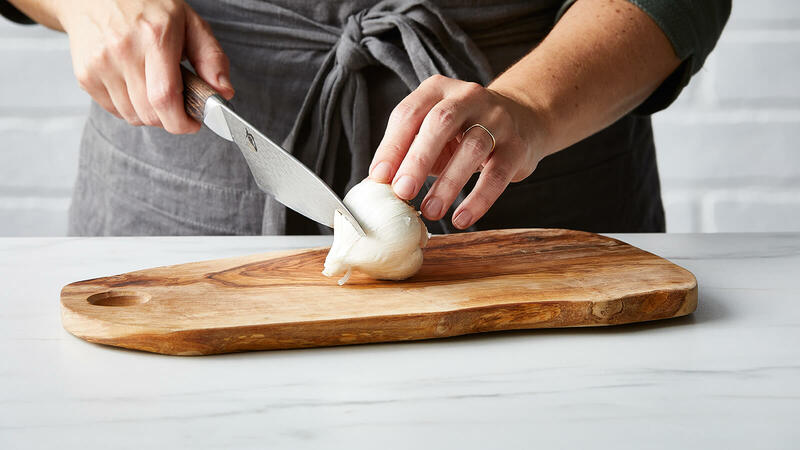 With a sharp knife, slice 1/4-1/2-inch off tops of the cloves so the top of each clove is exposed. 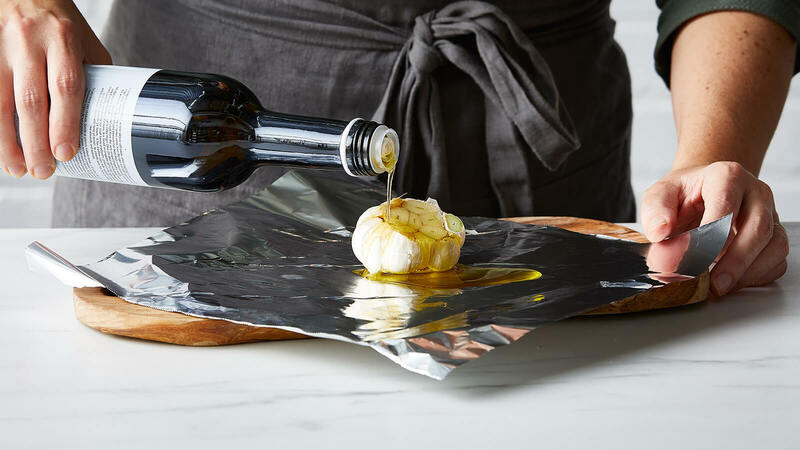 Place whole head of garlic on top of a sheet of aluminum foil. Drizzle 1-2 tsp of extra virgin olive oil over the tops of the cloves. 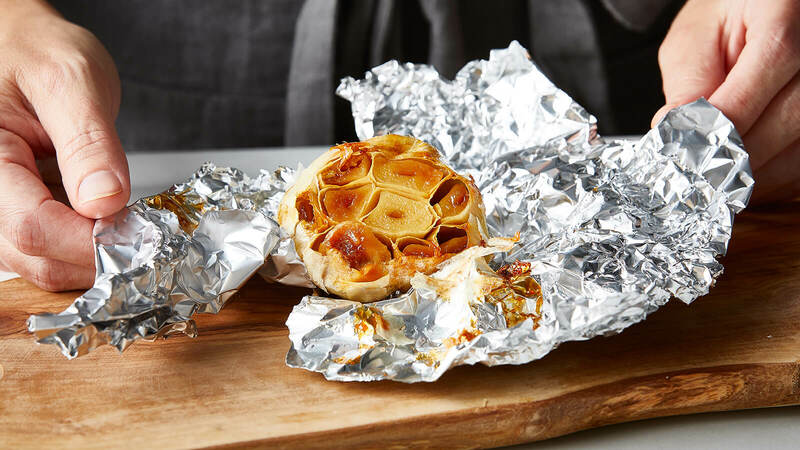 Cover the head of garlic with the foil and place in a small baking dish or on a small sheet pan. Roast for 30 minutes, and then check on the cloves. If they’re tender and lightly golden brown, they’re done, otherwise check again in 5-10 minutes. 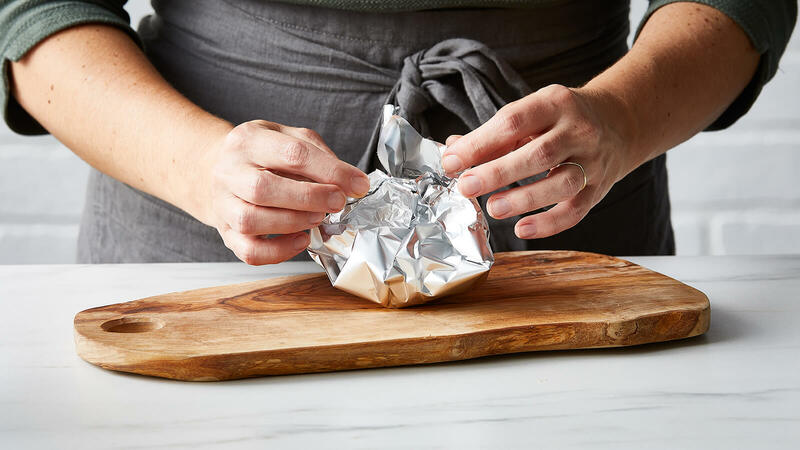 Remove from oven, open foil and let cool for about 10 minutes. 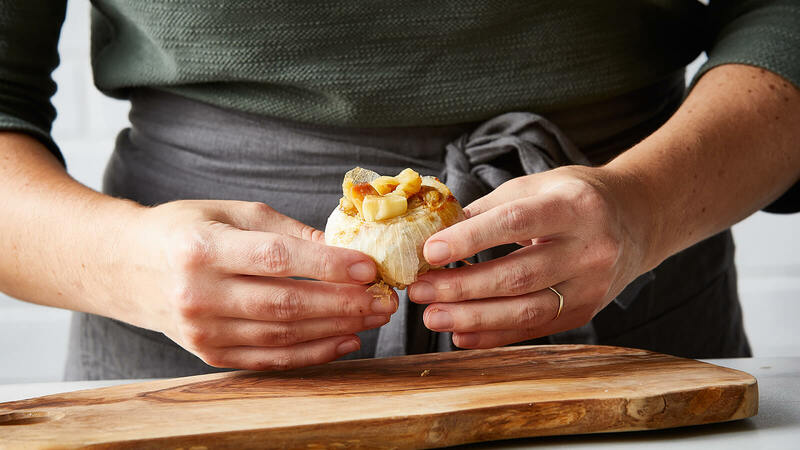 Once cool, take your fingers and pinch the bottom of the cloves to coax them upwards and out of the garlic paper. They should pop out easily. Refrigerate until ready to use.